Established in 1993, the Land Use Law Center at Pace Law School is dedicated to fostering the development of sustainable communities through the promotion of innovative land use strategies and collaborative decision-making techniques, as well as leadership training, research, education, and technical assistance. Through its many programs, the Center offers municipalities, land use leaders, citizens, advocates, planners, attorneys, real estate industry leaders, and other land use professionals assistance that enables them to achieve their development and conservation goals. 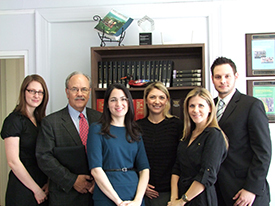 Its activities provide opportunities for students of Pace Law School to gain in-depth, practical experience that allows them to become practice-ready attorneys serving private, public, and non-governmental clients. The Land Use Law Center is the preeminent center of its kind offering extensive research and consulting services; conferences, seminars, and clinics; law school courses; practitioner and citizen-leader training programs; continuing legal education programs; multimedia resources; and frequent publications on sustainable land use and community development.